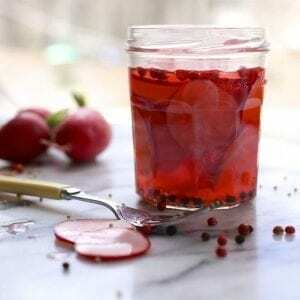 These pickled radishes are my go-to if I’m making tacos, quesadillas, or really any kind of sandwich. They are so quick and easy and are just the perfect thing to perk up anything slow-roasted or long-simmered. Best of all, they’re ready in under an hour and last for weeks. 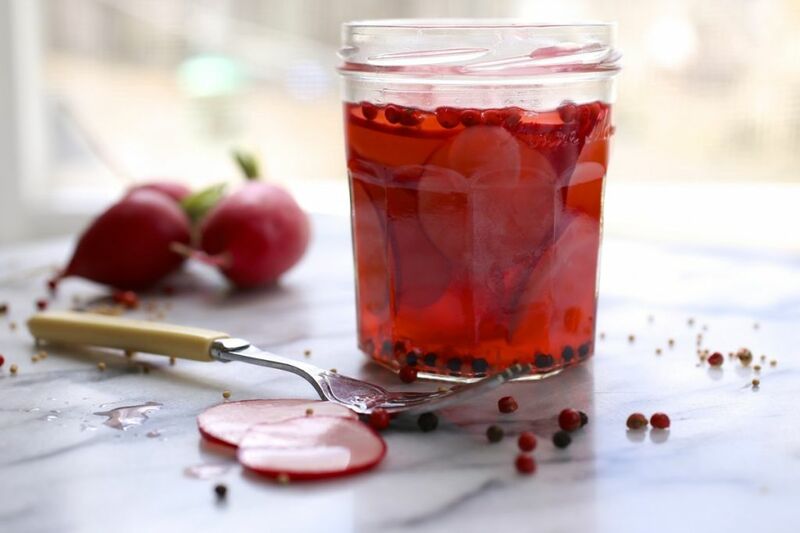 We aren’t ardent picklers, but we do have two favorites: quick-pickled red onions, and these tangy babies. You can also add herbs (I like thyme, bay leaf and tarragon best), chili flakes or whole dried chilies for spice. 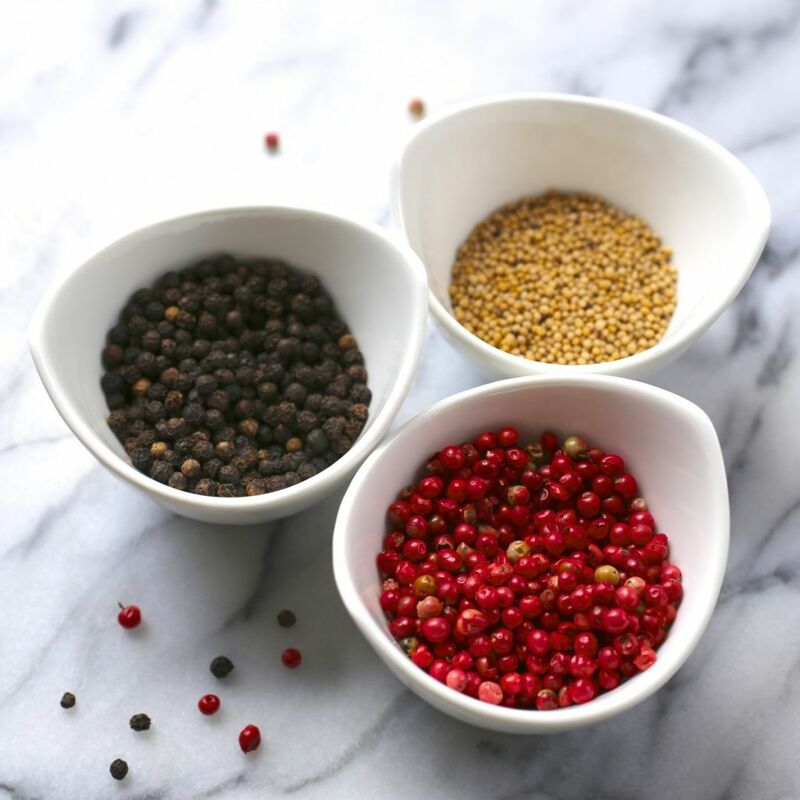 I had a big tin of pink peppercorns that I picked up from Sahadi’s last time I was there so I added them as well. Combine all of the ingredients except the radishes in a small saucepan and bring to a simmer, stirring occasionally until the sugar dissolves. Remove from the heat and let it cool for a few minutes while you prep the radishes. Trim the leafy tops off and wash the radishes. Thinly slice and place in a pint jar. 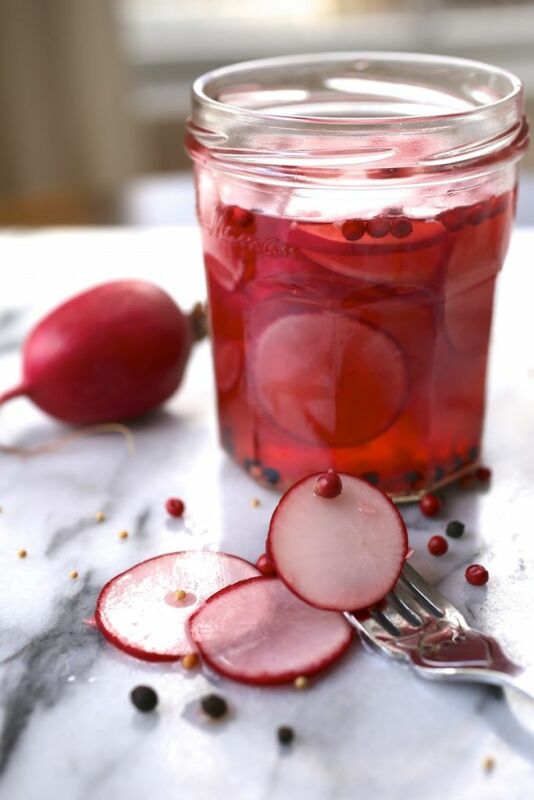 When the brine has cooled a bit, pour it into the jar, making sure to cover the radishes completely. Allow to cool to room temperature, about 20 minutes. Seal the jar with a tightfitting lid and shake or rotate it to evenly distribute the brine and spices. The pickles will be ready in about an hour, but are best after a few hours. Store them in the refrigerator and they will keep for about a week. Greetings and love from the Netherlands! Hi Ilona, so glad you liked it! Your tortilla looks amazing.